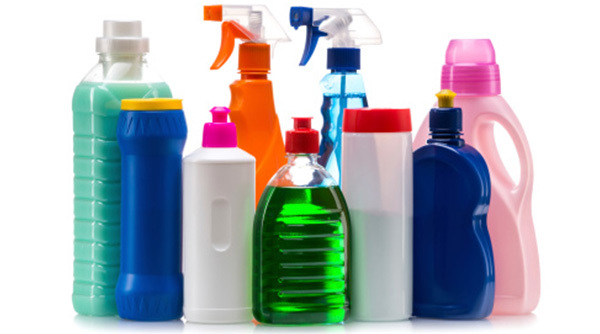 Toxins are everywhere and while many of us are aware of the effects air pollution has on our health, we generally don’t think about the toxins that can be found in our homes, especially in our personal and household products, many of which, we are directly in contact with every day. Here is a list of those products, together with suggested alternatives to help protect your family from toxic chemicals. Antiperspirants and deodorants – Antiperspirants contain toxic chemicals such as aluminum and parabens to prevent sweat and smell. As alternatives, choose products based on bicarbonate of soda (i.e., baking soda) or a natural deodorant. Reduce stress, consider your optimum weight and eat a wholesome diet to reduce body odour and sweat. Soap and shampoo – Quaternium-15 is a formaldehyde-releasing compound commonly used as an ingredient in shampoo. Triclosan, an antibacterial agent chemically similar to the dioxin class of compounds, can be found in many liquid soaps or body-wash products. A good alternative is is a natural or organic product where possible such as Tisserand Body Cream and Wash and EO Organic Shampoo and Conditioner. Toothpaste and mouthwash – Almost all toothpaste products contain significant levels of lead. Most also contain triclosan and sodium lauryl sulfate (SLS) which are both toxic when ingested . Two commonly found mouthwash ingredients: chlorhexidine and benzydamine HCL have been found to be genotoxic (harmful to our DNA makeup). As alternatives, parsley is an excellent breath freshener or any products which are known to have natural ingredients. Paper products -Toilet paper, facial tissues, napkins and paper towels are known to contain a certain amount of formaldehyde. It is worth avoiding facial tissues in particular in favour of 100% cotton handkerchiefs. Hair dyes – Hair dyes contain many toxic chemicals. 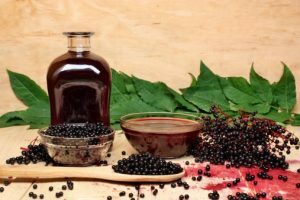 Look for natural dyes as a safer alternative. Air fresheners – Most commercial air fresheners contain variable amounts of toxic substances called phthalates. A better idea is to open windows and doors whenever possible to promote more effective ventilation in your home. To clear odours consider an air filter which is effective and non-toxic. Curtains – Rubber-backed curtains can be a problem when heated by the sun or winter heating and have been know to increase the release of of chemicals into the atmosphere and furnishings. Cotton filling and covers on bamboo furniture is a good alternative. Bamboo can be washed with soap, hosed down, and dried in the sun. New pillows and mattresses – Formaldehyde can be found in pillows and mattresses. When replacing old with new, ensure that they are thoroughly aired before use to avoid allergic reactions. Synthetic fibres – Formaldehyde is used in the production of most synthetic fibres. Buy natural fibres: cotton, linen, wool, or silk where possible and . Otherwise allow plenty of time for airing synthetic clothing after purchase and before use. Soak out chemicals with white vinegar, using 1/2 cup of vinegar in a small basin of water. At IMI we support a natural and holistic approach to good health. Our IMI dispensary stocks some natural lifestyle product alternatives, simply visit our Dispensary in Central or IMI Supplements Online. If you have any questions regarding our natural lifestyle product alternatives, simply submit the enquiry e-form.